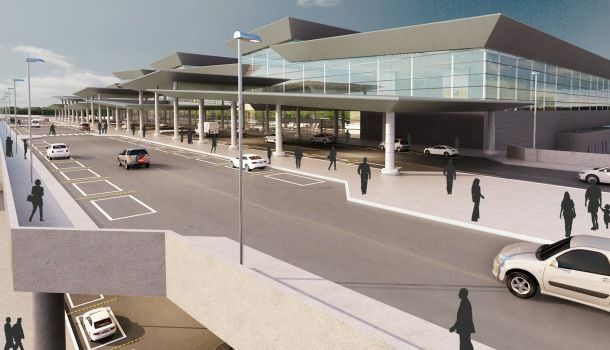 The new international Terminal 3 has opened at São Paulo’s main Guarulhos Airport that is located close to Arena de São Paulo where the opening game of the 2014 World Cup will take place on 12 June. The first airlines to move into the new 12 million capacity terminal – that has 20 gates – were TAP and Lufthansa on 12 May. They were to be followed by six further international carriers in the coming three weeks. After the World Cup another 17 companies will move into the new terminal with the Brazilian carrier, TAM, the last to move in September 2014. At that point, further modernisation will take place at terminals One and Two. By 2022 the entire airport is expected to have doubled its current annual capacity to 60 million passengers. This entry was posted in Brazil, São Paulo, Transport, World Cup 2014 and tagged 2014, Brazil, LATAM, São Paulo, TAM, World Cup by Critical Divide. Bookmark the permalink.